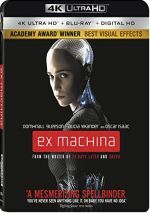 Ex Machina appears in an aspect ratio of approximately 2.40:1 on this Blu-ray Disc. The movie came with a generally good image but not one that excelled. Sharpness became the main area of minor concern, as delineation varied. While much of the film offered solid clarity, occasional soft shots materialized. This may have reflected the source photography, but the variations made this less obvious. In terms of colors, Ex Machina opted for a subdued push toward orange and teal. These hues dominated but seemed restrained and came across fairly well. Blacks seemed largely deep and dark, and shadows displayed nice smoothness. The visuals mostly satisfied. A handful of extras appear here, and we open with Through the Looking Glass, a 39-minute, 59-second program. It includes info from writer/director Alex Garland, producers Allon Reich and Andrew MacDonald, production designer Mark Digby, director of photography Rob Hardy, costume designer Sammy Sheldon Differ, makeup and hair designer Sian Grigg, visual effects supervisor Andrew Whitehurst, and actors Domhnall Gleeson, Alicia Vikander, Sonoya Mizuno and Oscar Isaac. The disc opens with ads for Maggie, Cut Bank, A Most Violent Year and Under the Skin. No trailer for Ex Machina appears here. Though it occasionally threatens to feel like a catalog of influences, Ex Machina still manages to become its own film. 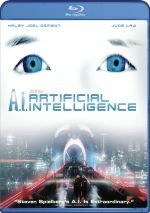 It brings a tense, tight sci-fi effort that holds up well. The Blu-ray offers generally positive picture and audio along with a fairly good set of supplements. 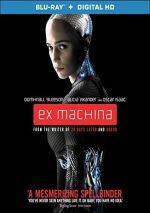 Ex Machina turns into an involving effort.